Just because you are on a cruise doesn’t mean that you are doomed to gain multiple pant sizes by the time that you return! Avoiding weight gain on a cruise can be difficult with so many bad food choices available. 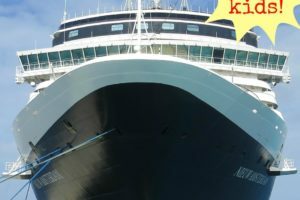 Here are some cruise tips that will help you decide What NOT to Eat on a Cruise Ship and other ways to keep the calories in check so that you fit into the same clothes that you left in upon your return! In many cases, it will be faster than the elevator and it will help you to burn off that extra pastry that you had for breakfast! but consume your calories in many small meals throughout the day. Eating this way helps to boost your metabolism and ensures that your body is able to burn off all of the calories that you are putting into it. 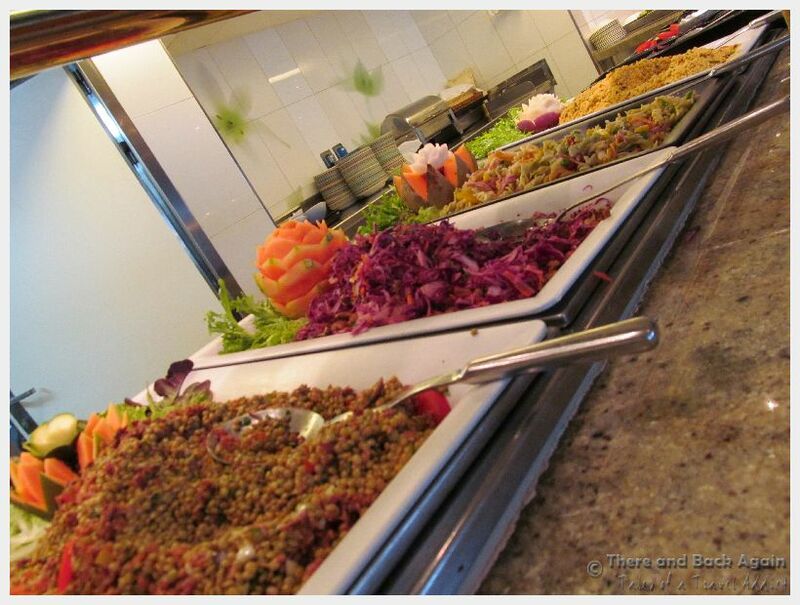 I know that there are a lot of bad for you foods readily available on a cruise…but there are lots of good foods, too! My intake of fresh fruits and vegetables drastically increases on a cruise, simply because they are available. It is a great opportunity to get your recommended daily number of servings of fruits in veggies served in appetizing combinations. Pay attention to your hunger signals! The presence of food ALL THE TIME makes you feel like you need to eat ALL THE TIME. You find yourself saying, “Well, I COULD be hungry…” Only eat when you are really hungry, not just because food is available. This is particularly important on a long cruise. Start slowly, don’t gorge in the first days of the cruise. Your eating habits for the first few days set the precedent for the rest of the trip. 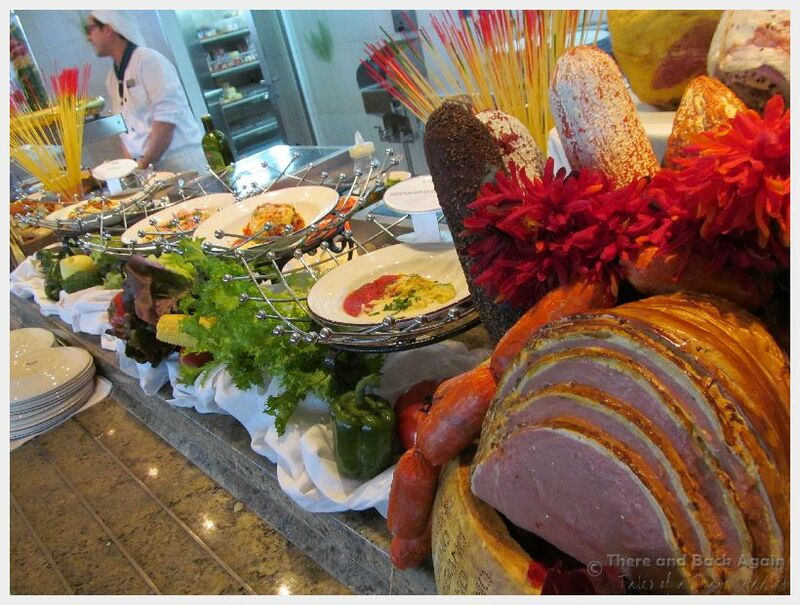 It is human nature to fill up the space available, and the standard sized plates on cruise ships can be very large. You can always get more if you are really still hungry, but a small plate that is full will trick your brain into thinking that you are eating more food. This is a HUGE category of What NOT to Eat on a Cruise Ship. Really? You came on a cruise to eat mediocre burgers and french fries when there are so many other options readily available? Do you really need to eat dessert with lunch? Another thought: There are many low quality desserts on a cruise ship, particularly in the buffet. Save your calorie expenditures for a dessert that is REALLY good, not just the plain looking piece of chocolate cake with sprinkles that probably won’t taste as good as it looks. Lemonade, juice, soda, alcohol and other drinks readily available on the ship all contain calories. Drink more water. Want to try something bad for you? Get in the habit of splitting it with a travel companion or dinner table mate and cut the calories in half. STEP AWAY FROM THE FOOD! Knowing how to avoid eating too much is just as important as knowing What NOT to Eat on a Cruise Ship for maintaining your waistline. If you are hoping to maintain the same pant size, for gosh sakes, don’t sit by where food is available nearly all the time. The Lido deck is a very bad place for you. There are lots of great places to sit on a cruise ship. Having food readily and easily available will make you more likely to eat when you are not really hungry. 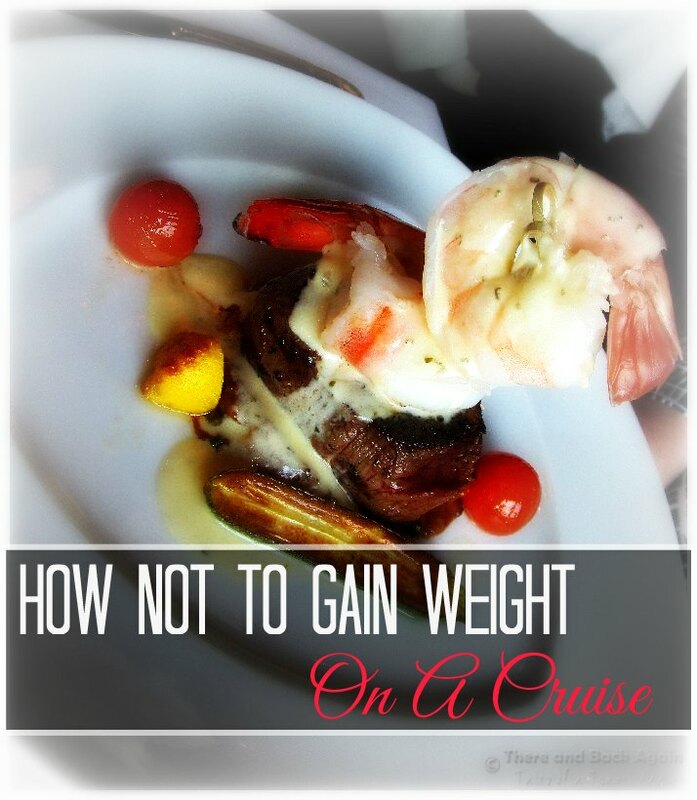 What are your best tips and suggestions for avoiding cruise weight gain and for what not to eat on a cruise ship? 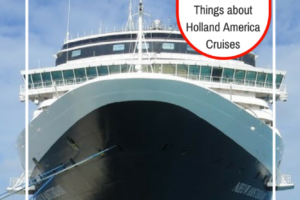 When I read the title of your post, my immediate thought was, “there’s no way I’d diet on a cruise!” But then I read on and you offer really good advice. There are a lot of mediocre foods and overabundance of desserts and such. Skipping those is rhe sensible thing to do. As is taking the stairs — which is much faster than the elevators on every cruise ship I’ve been on. Smart thinking! No, I didn’t way “diet” necessarily…I am certainly not LOSING any weight on a cruise ship…just trying not to come home looking like a blimp! We always skip the buffet and go for the sit down breakfast, lunch and dinner. The portions are smaller than what most restaurants serve so I do confess to ordering 2 entrees at dinner some nights. One day we ate 6 times since we attended a cooking demonstration, afternoon tea and burgers at midnight. I never gain weight and I don’t exercise. 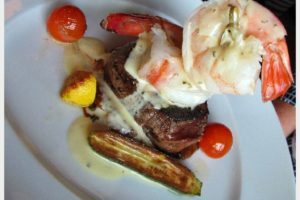 With a food like this, I think I’m gonna skip my diet. There’s no way I’m not trying this all. But Shanna, thanks a lot for your tips. It’s very much helpful to me, cause truly I do love to eat. It’s my passion! Yup. I am all about eating and finding ways to eat more good things. Thanks for reading!